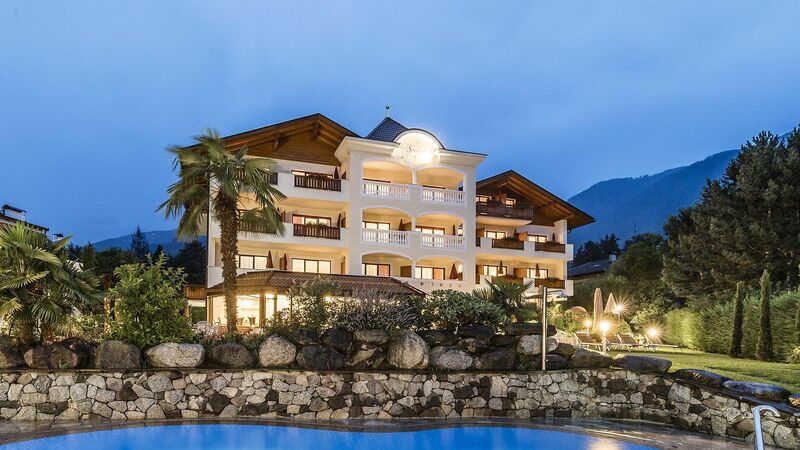 Our Hotel in Merano, the Hotel Sonnenburg, is a stylish and peaceful oasis nestled in the chic residential area of Maia Alta/Obermais. 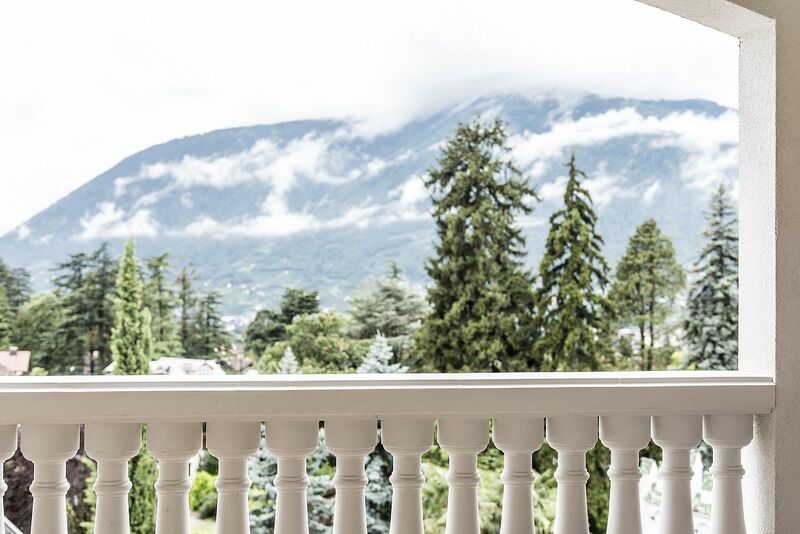 Located in Merano and Environs and surrounded by breath-taking mountains, this gorgeous backdrop is the perfect place to relax and enjoy an eventful holiday in Merano. We look forward to warmly welcoming you to your stay at our family-run hotel in Merano. Your holiday will truly begin in the elegant ambiance of our hotel. Simply come for a drink at the bar in our hotel in Merano. We invite you to take a tour of the premises to get an impression of where your next holiday just might be. The indoorand outdoor pools in our wellness hotel in Merano promise deep relaxation, as does the new sauna area which boasts: a Finnish sauna, Turkish steam bath, infrared sauna, a Kneipp pool, and so much more. Additionally, you can enjoy the refined gourmet creations in the sun-filled dining room of our hotel in Merano. Each dish is created with high-quality and mainly regionally sourced ingredients. Delicious meals accompanied by exquisite wines are a high point for guests who stay at the Hotel Sonnenburg. Whether you booked our hotel in Merano simply to relax, to visit the most beautiful points of interest in Merano, or to enjoy the many outdoor activities: hiking, cycling, and golfing from spring to autumn, or skiing, tobogganing, and winter hiking during the colder seasons, Hotel Sonnenburg is just the right place for active people, connoisseurs, families, friends, and couples alike. 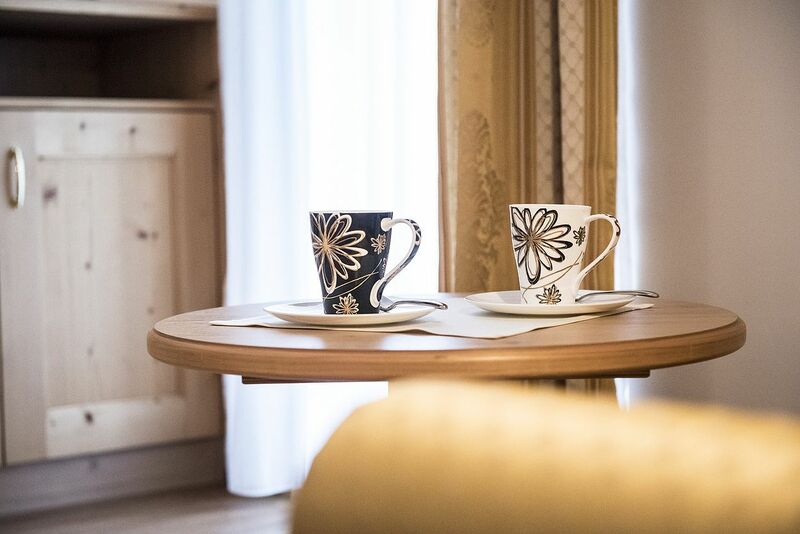 The warm hospitality of the entire team, the inviting ambience, and the cosy rooms and suites are just a few of the reasons that make our hotel in Merano the perfect place to stay. The Hotel Sonnenburg is just 15 minutes away from the historic centre of Merano. Both the Merano 2000 cable car and the botanical gardens of Trauttmansdorff Castle can be reached quickly – making it easy to tailor your holiday perfectly to you. Today, relax at the Terme Merano and enjoy its 25 pools, both indoors and outdoors, afterwards enter the spacious sauna area for some relaxation. Tomorrow’s agenda: get active and play a round of golf on one of the eight South Tyrolean golf courses. 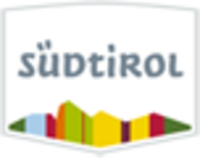 And the following day, why not satisfy your cultural curiosity in one of the many South Tyrolean museums? A holiday at our hotel in Merano in South Tyrol is very diverse – filled with activities for everyone to enjoy. With so many highlights, you will simply have to come and see for yourself. Why should you book our hotel in Merano? We, your host family the Wieser’s, as well as the entire team, are always there for you and ready to help. Whether you have questions or concerns or would like excursion tips, we have you covered! The location of our hotel in Merano, Maia Alta/Obermais is simply amazing with its idyllic tranquillity, it is easy to enjoy the scenery and spectacular mountains views. Here, you can relax – leaving your everyday routines behind. Merano's historic city centre is filled with sites, promenades, restaurants, and cafés and can be reached on foot within just a few minutes - culture and excitement is awaiting you! 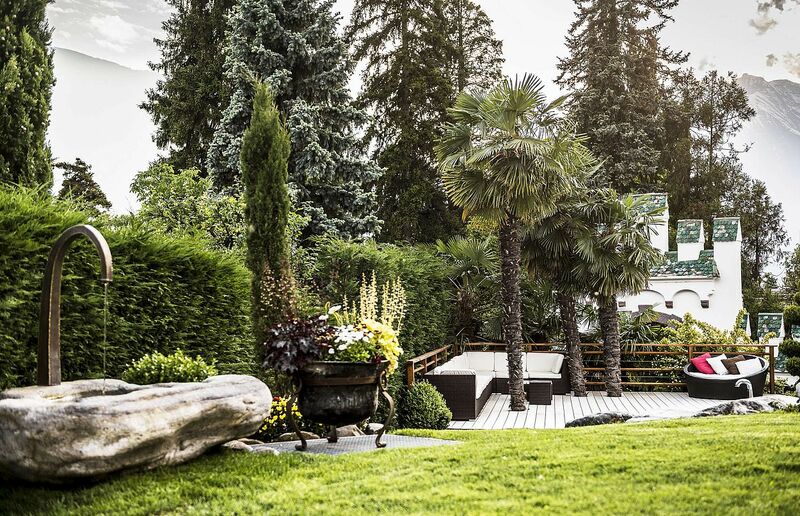 Around our hotel in Merano, you truly have an active paradise at your feet – both in summer and in winter. 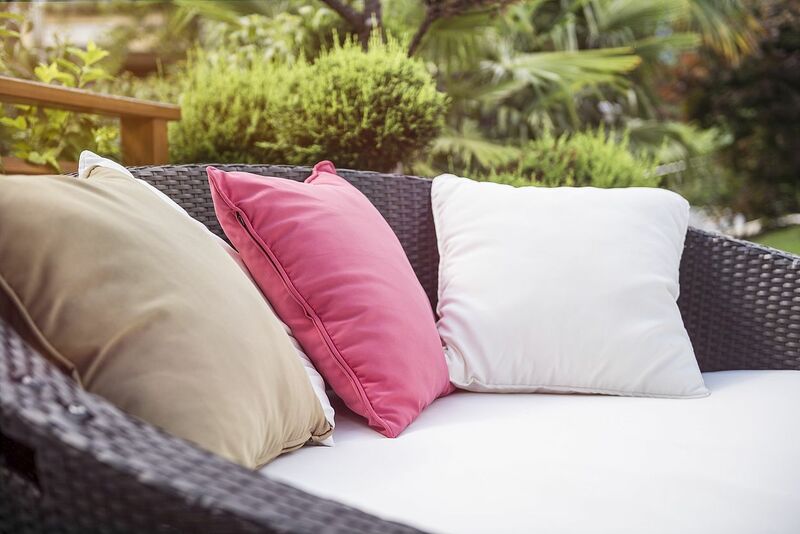 Let us advise you and enjoy your holidays in the fresh air! 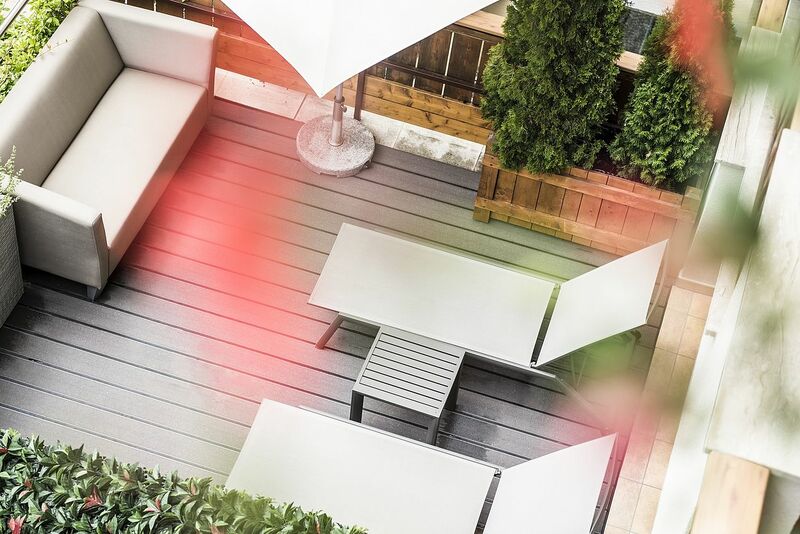 At our hotel in Merano, we aren’t stingy with individual feel-good moments. During a massage, a visit to the sauna, or a dip in the indoor or outdoor pool, take a moment and enjoy – it’s the best for the body and soul. Highlights include our electronic vehicle charging station and the gourmet creations that flow from the kitchen. Our hotel in Merano is the perfect stay for people who are environmentally conscious and enjoy special moments of enjoyment of all kinds. Visit our Hotel in Merano and you’ll be convinced – we are certain you will have a wonderful time at the Hotel Sonnenburg!